Like many Carp anglers that venture across the channel, I have a number of lakes on my ‘hit list’ that I dream of fishing. Inevitably this list is added to as I find out about new waters but there is a handful that have been on this list from the very beginning of my French fishing. 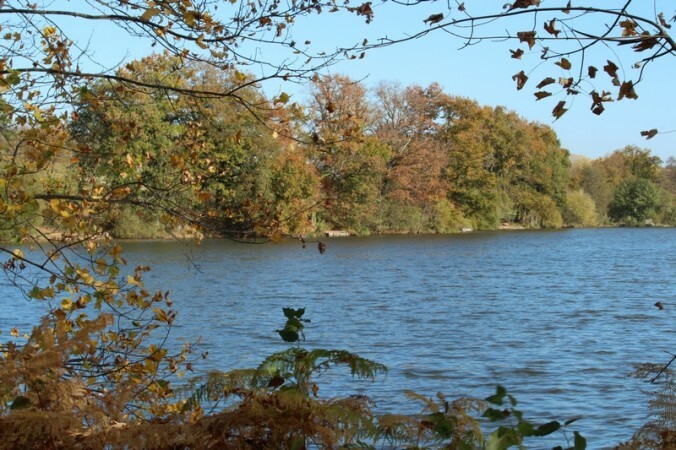 At the top of the list is Castle Lakes. So, when I finally got my chance to spend a week on this revered water in early November, you can imagine how excited I was! 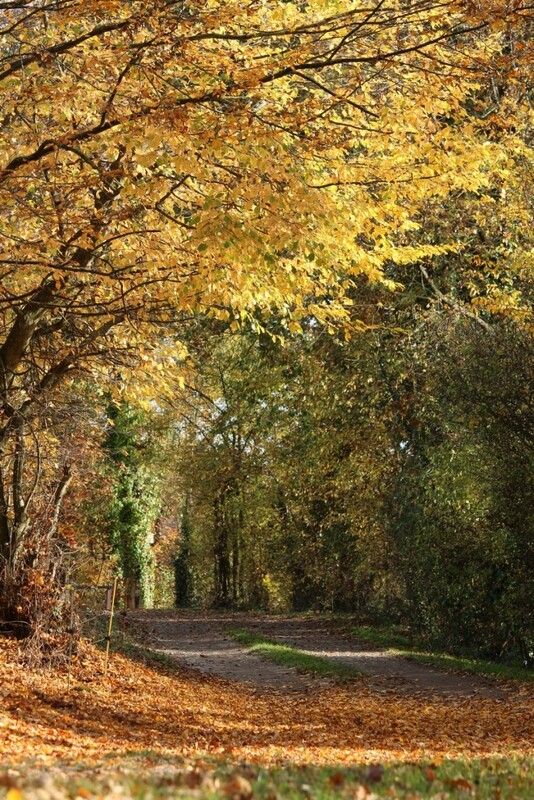 We arrived on a dazzling bright autumnal day. The road brings you along the top of the hill behind the lake and the first glimpse of the place is simply breath-taking. With a steady breeze on the water, it shimmered like a jewel in the valley beneath and looked every bit as incredible as I’d imagined. Myself and Matt were both immediately transformed into a couple of kids again, as the young anglers within us both embraced the sense of adventure and excitement at what was in store. To me, that’s the kind of feeling I crave when I go to a lake in France and the initial impressions didn’t disappoint. Arriving at the lakes HQ at the foot of the hill, we were greeted by Dave and Sue who run the lake. They gave us a very warm welcome and promptly poured us a cold beer before filling us in on the necessary information about the fishing and facilities. We were itching to get a proper look at the lake so decided to stretch our legs and do a walk around to get a feel for the place. As we made our way up the track and to the dam wall the view that unfolded in front us produced another wow moment. It was even more picturesque than on the hill above and Matt flashed the kind of grin that said to me this place had totally captured his imagination. After spending a couple of hours wandering around and armed with all the latest catch reports from both the Angling Lines website and from Dave, we opted to set up at the top of the lake in pegs nine and 10. As the weather was much warmer than either of us had anticipated the plan was to fish two different depths of water and spread our bets. Matt was to fish in the shallower water in the top bay on peg 10 and myself in the slightly deeper open water of peg nine. That way if the fish were to make an appearance in either depth we could respond accordingly. With the gear all set up we set about getting to grips with the water in front of us and took to the rowing boats that are available to hire on site. I love to develop new areas of my fishing and having the opportunity to use boats in my carping is something that I’ve been enjoying from my French fishing this year. It’s a technique with its own challenges and rewards but ultimately it’s a great way to get a feel for a water and to pin-point areas of interest. Being out on the water provides a fresh perspective of a water and also offers some unusual surprises too. Sitting out on the boat I was able to witness thousands of cranes gathering in the skies above as they used the lake as a marker point for their long migration south. It was absolutely magic and another reason why I love this brilliant sport. As evening fell the rods were positioned and the level of expectation increased. Taking in the surroundings and tuning into the place I sat in anticipation of the night ahead. Dave informed us that the fish do crash out during night time hours and, true to form, the evening air was punctuated with the electrifying sound of some seriously big fish crashing out in the darkness. 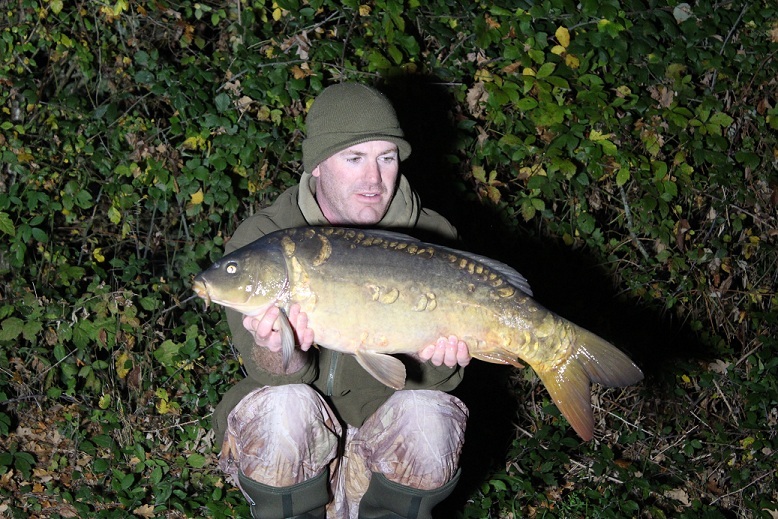 Matt was first into the action and soon opened his account with a modest fish of 19lb. We were both quite surprised at its size, given the incredible stamp of fish present in the lake. Nevertheless we were off the mark so were both pleased to see our first fish from the place. The rest of the night passed without event and it wasn’t until the Sunday night that Matt struck again, this time the fight was ponderous and steady, the hallmark of a much better fish. Standing alongside him with the net at the ready the tension was evident as both of us waited to catch a glimpse of his opponent. As it slid out from the gloom and into the torchlight we could see it was a sizeable mirror as it obligingly directed itself into the net. On the scales it went 38lb and was exactly the kind of fish we came to catch, big, bruising and awesome! Knowing that there were still bigger fish to be had we quickly slipped it back before Matt rowed out into the night to position the rod again. 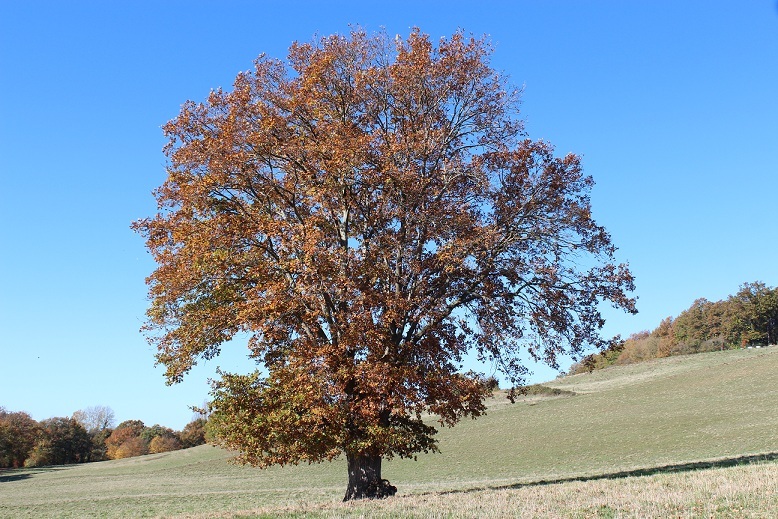 The next couple of days were fairly quiet as the autumn sun created a lethargic feel to the place. 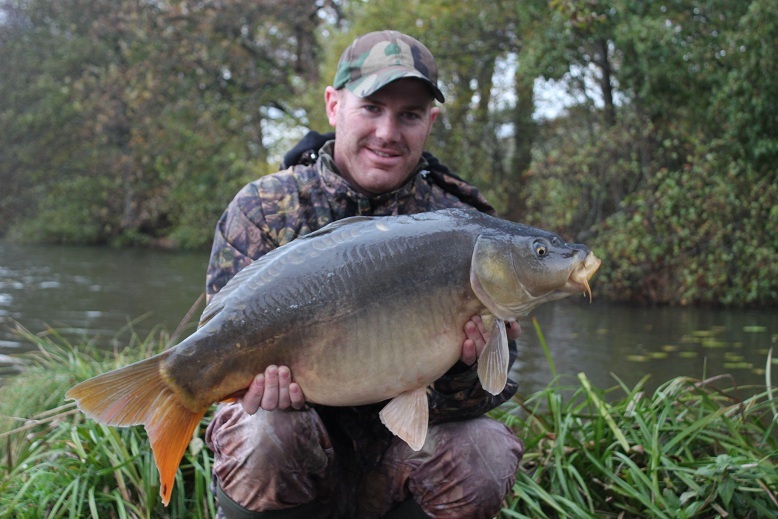 However, with a turn in the weather and rain and gusty wind setting in, Matt struck again with his third fish, a beautifully proportioned mirror of around 23lb. We had a feeling the lake was still to properly kick into life and were still optimistic that more fish would follow. The change of wind direction certainly helped and in the early hours of Wednesday morning, with howling winds and driving rain, my left-hand rod screamed into life. The nerves were jangling as I set the hook. The wind was battering me as, bleary-eyed from being woken up, I fought a very lively fish. As luck would have it the fish only turned out to be a mid-double but getting the first fish under your belt is always a relief. I must have caught the smallest carp in the lake! Still, they all count. Hoping the switch had been flicked I hastily got the rod back on the spot and escaped the wind and rain, retiring back to the comfort of the bivvy. With some filming commitments ahead of me on Wednesday I wasn’t able to fish throughout the day so I focused my efforts on getting things spot on for the night ahead. The other guys fishing the lake had only one carp and a catfish between them so I wasn’t overly concerned that my approach wasn’t working. After a quiet night, more filming followed on Thursday and, whilst I was out and about with the camera, Matt made a decision that proved to be a turning point for the trip. 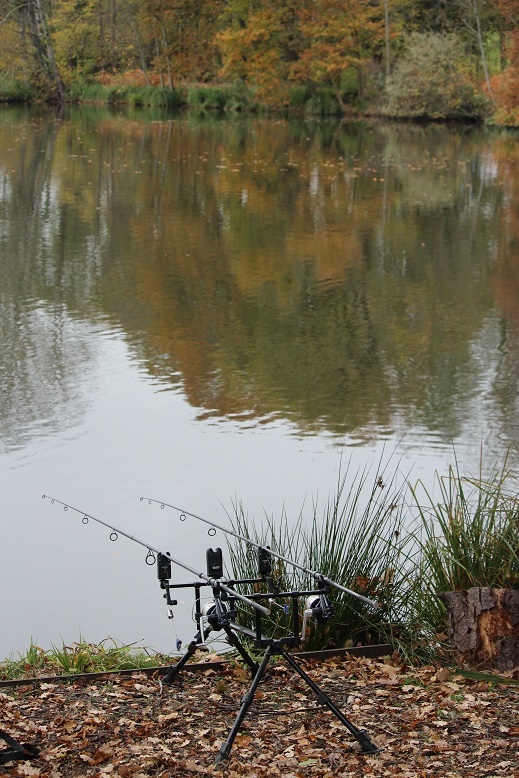 During the week we’d both seen a few fish crashing near a corner on the dam wall so Matt decided to grab two rods to see if he could sneak something out from the other end of the lake. I arrived just in time to see him with a big grin on his face and a stunning 27lb common sulking in the net. Having a fish to film in the daylight hours is always a big bonus and the setting couldn’t have been better as the fish was photographed in front of the most dramatic, flame orange bracken backdrop. Slipping the fish back, Matt felt confident he hadn’t spooked the rest of the shoal so very carefully flicked the rod back out on the spot whilst I filmed the sequence. What a fish and what a backdrop. 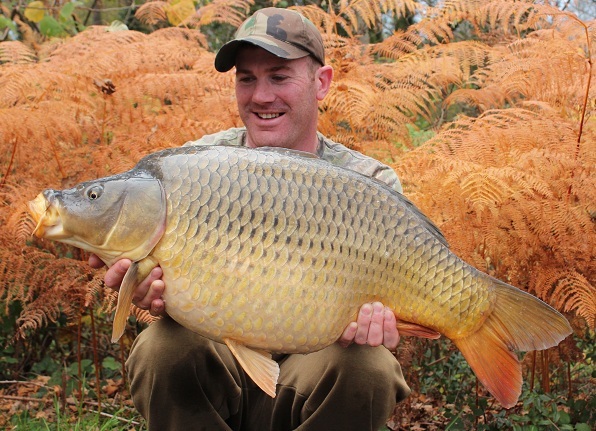 Matt showing how it’s done with a superb stalked common. Within about 30 seconds of the bait being in the water, the line on the same rod began to pull tight and Matt instinctively struck into the fish. I can’t tell you how rare it is to get a live take such as this on film so I took the chance to grab as much footage as possible. It was another great fight as the fish used every inch of the swim to elude capture. Matt inevitably gained the upper hand as the fish began to tire and scooped up his second fish in a few short minutes, this time a lovely looking 23lb mirror. Just like buses. 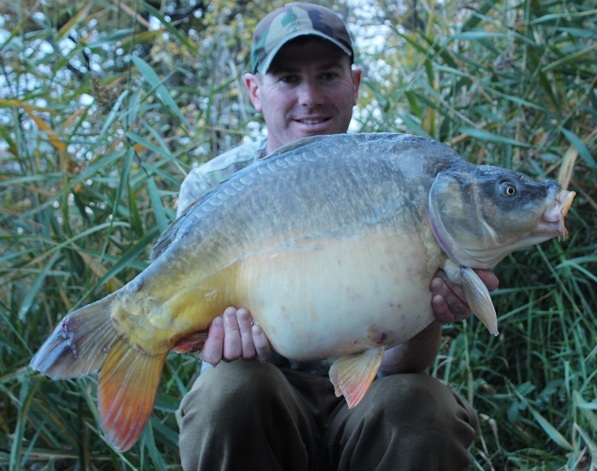 Matt landed this 23lb mirror carp within a few minutes of re-casting. After capturing some more precious day time film we decided to move back to our main swims and set up for the evening ahead. 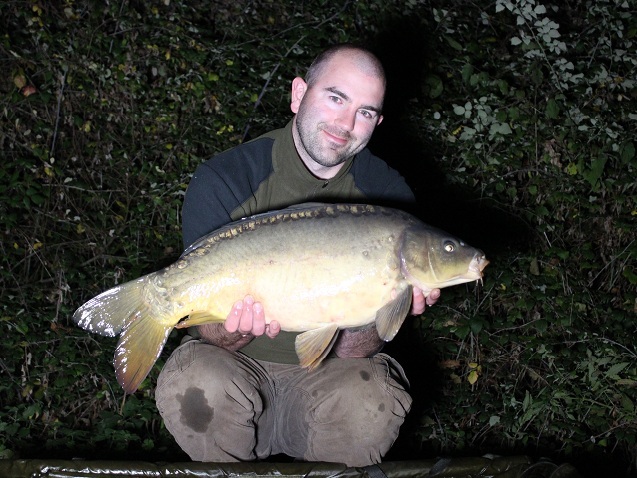 Lady luck was definitely on Matt’s side and within an hour of darkness he followed up the success of his afternoon foray with another bruising 30lb mirror. And, no sooner had he re-positioned the bait, it was away again. Another superb looking mid-20 common fell to his traps. What a turnaround! Four fish in the space of just a few hours totally changed the complexion of the session. Another quick hit. This common came within an hour of the last fish. With our morale boosted by the sudden flurry of fish we settled in for the evening. The night was once again quiet for me but, as the sun rose on the final day of our trip I sat and watch a string of fish crashing over the spot that I’d been patiently baiting throughout the week. Could this be the moment my luck would change? Having watched Matt’s fortunes change I said a few words to the fishing gods in the hope they would reward my persistence with one of castle’s famed biggies. Sitting with a coffee, watching the water, my middle rod suddenly sounded a few bleeps as the indicator locked up tight and the rod tip curled upwards to signal a take. Connecting with the fish was both exhilarating and relieving as I’d worked long and hard for a chance to do battle with a big castle carp. However my hope was short-lived as, no sooner had the rod exploded into life, the sickening kick of a pulled hook was all that remained. In those moments you just have to accept it’s not your day. I couldn’t help but feel that my chance had gone in this spot so decided to gamble and do the final night in peg one, adjacent to the dam wall. As we needed to be up extra early to catch our ferry we packed all the non-essential items away and prepared for a night under the stars on the bedchairs. With all the cooking gear packed away we indulged in the famous food package that Castle Lakes provides. It was real a treat to have such great food prepared and delivered to your swim. That is another of the perks of Castle Lake and you don’t even have to book the meal package for a whole week. Provided you can give sufficient notice, Dave and Sue are able to provide food for whatever days you need it and for a very reasonable cost. With a full stomach I sat back and watched the evening slip into the night, enjoying the experience of sleeping out in the open. At 2:30am my alarm sounded. Sadly it was my alarm clock and not a bite alarm, signalling that it was time to return home. Whilst I only caught one modest carp during the week I can’t say that I was disappointed. In fact it’s only made me more determined to return to put the record straight.  Success can be gauged in many ways but I think as long as you achieve something and add to your experience every time you fish a new water then that’s all you can do. The rest is up to the carp and they don’t always read the script! That aside, I can honestly say that Castle Lakes is the best carp lake I’ve ever had the pleasure of fishing. It represents, in my opinion, the pinnacle of holiday carp fishing in France. The size and quality of the fish (aside from my personal lack of success), the facilities and how the whole place is run is of the very highest order. I can’t think of anywhere I’ve been that ticks as many boxes and given that it attracts some of the biggest names in the business in the likes of former Carp World editor Tim Paisley, it’s not just me that thinks so! The place is awesome and, if you’re not scared of the challenge of going after some big fish, it should be top of your ‘hit list’ too.